Welcome to the Inn on Water Street. Spend an evening with us. Relax and Enjoy! The Inn on Water Street is located in historic Marine City. 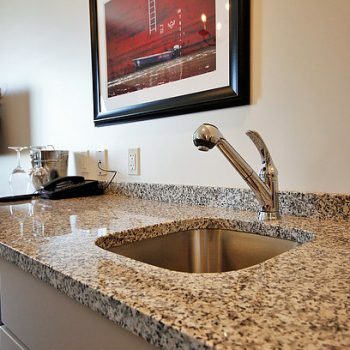 Situated on the banks of the St. Clair River, our guests will enjoy a picturesque view, a warm and comfy atmosphere and friendly service. 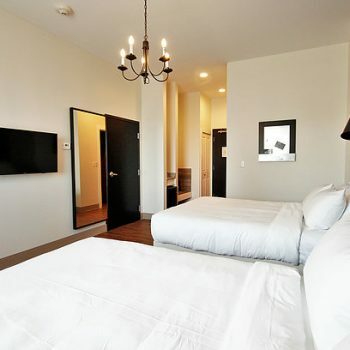 Our boutique hotel blends modern farmhouse décor with contemporary amenities. 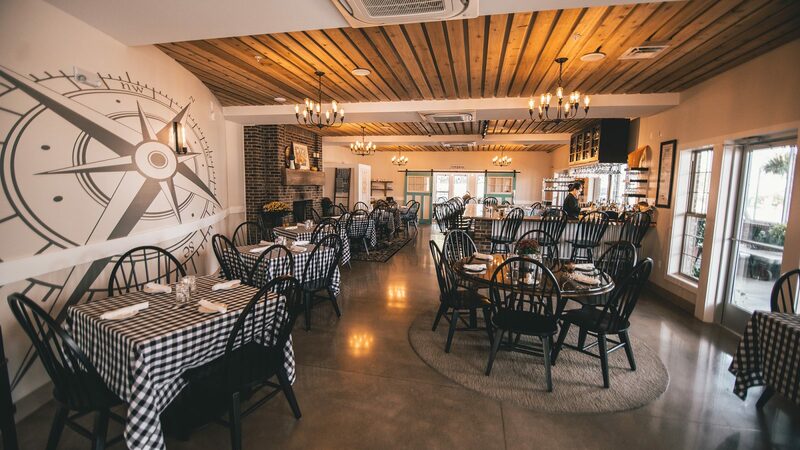 During your stay, enjoy a play or musical at Riverbank Theatre, stroll our quaint town, peruse the many unique shops, view freighters while enjoying a nice glass of wine right from your balcony, and be sure to take in the culinary magic at our fine casual dining restaurant, The Inn Kitchen. 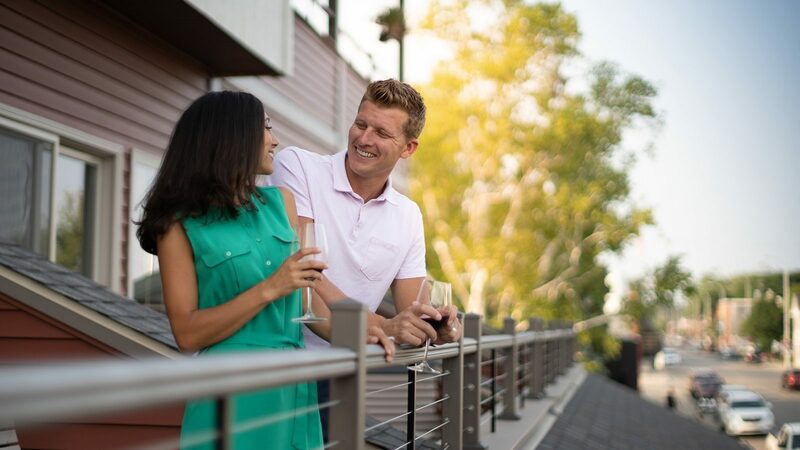 Your weekend staycation complete with a 3-4 course culinary experience at The Inn Kitchen and a live, professional Broadway-style show at Riverbank Theatre is the perfect weekend getaway without the drive. Business travel can be exhausting: We make it our priority to pamper our corporate guests with a place to entertain, work, and recharge. Looking for a quick getaway during the work week? 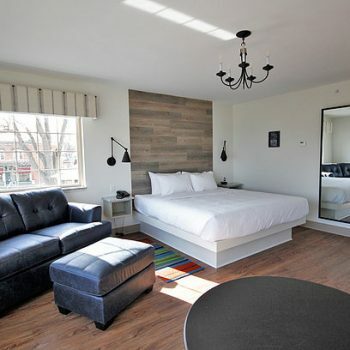 Marine City has the up north vibe without the drive and the Inn on Water Street is the place to stay! 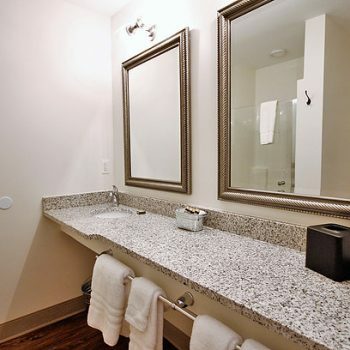 The guest rooms were designed to feel more like home with a unique floor plan, and with cleanliness in mind so that each guest can feel like the first to enjoy the space. And, oh that bed! You’ll feel like you're sleeping on a cloud. 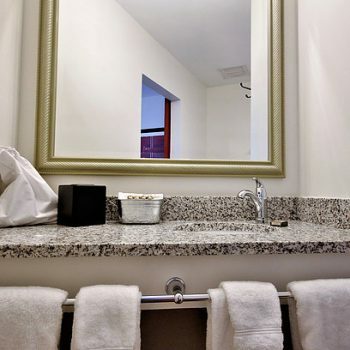 Take a Virtual Tour before your stay and get a glimpse into the different accommodations and hotel features! 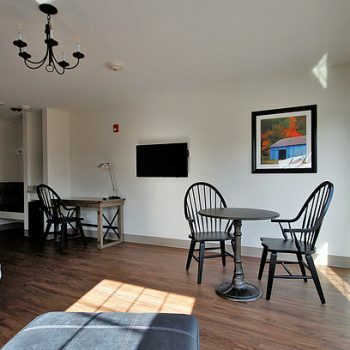 Visit the Rooms page, choose a room, & take a tour! 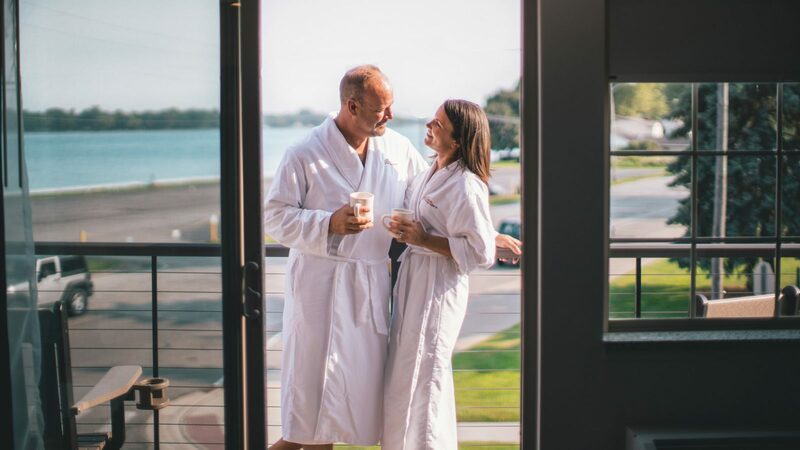 Over two-thirds of our rooms have fantastic views of the St. Clair River; most with private balconies for lounging in the fresh air, and watching the steady show of boats and nature drifting by. We love our pets and hate to leave them behind so we created a pet-friendly Inn with easy to clean surfaces so all traces of Fido can be easily swept away post-visit. It’s a great town for walking with pets and enjoying the mix of small town and nature. 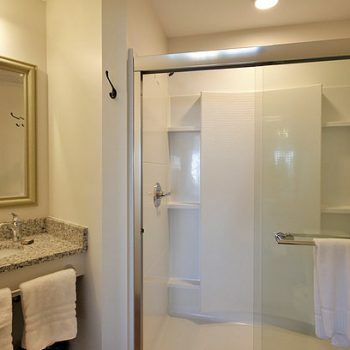 You are drawn in by the charm and the amazing staff makes you want to stay forever! The rooms are so cozy, the design so chic. The GM seemed to be always working and made contact with each guest several times a day to make sure all needs were met. The rooms, common areas and restaurant were spotlessly clean. The restaurant was awesome. This weekend was my brother and I and he is a “healthy” eater but he couldn’t resist dessert because the food was so good. We loved the ambiance in the bar and restaurant. The breakfast was an unexpected treat and was really good. I can’t wait to come back for a girls friends weekend with a show. Oh - did I mention fresh chocolate cookies with milk in your room? Just sayin’, it’s those little touches that make a place great. The rooms are very elegant!! The staff was very nice and the rooms were clean. The game room, though doesn't contain games, is a nice place to hang out and look out the old WWII ship binoculars. The lights in the room are a little weird as you use your room key to activate the lights. The best part was the complimentary chocolate chip cookies and milk in our room. Absolutely wonderful place to stay! Very clean and super comfortable (especially the special beds and pillows). Every aspect of our stay was pleasant. We got a room with a view and it was beautiful! The lounge upstairs has a neat viewing area too, which we loved. The room is perfectly clean, with well organized space. The staff was very friendly and responsive. They answered all of our questions, answered our calls or called us back when needed. The breakfast was good too, it felt like eating a nice breakfast at home. Would love to visit again! Very nice, upscale new restaurant. Unique and eclectic menu. I ordered "the max" sandwich for lunch. It was very unique, never had anything like it and it was terrific! The restaurant is very clean and well kept. I cannot wait to take my wife there for dinner. 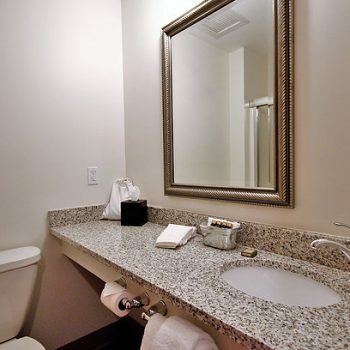 Let our friendly and courteous staff treat you to a first class experience.